Of all the musician feuds we’ve been subjected to as of late, there are few as decadent as the one between Fleetwood Mac’s Stevie Nicks and Lindsey Buckingham. 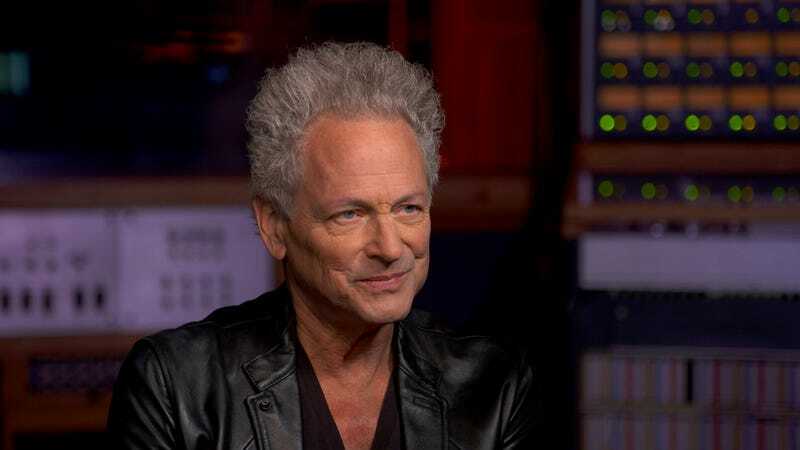 Earlier this year, lead guitarist Buckingham was unceremoniously booted from the band after a spat regarding the current tour. Now, after filing a lawsuit against the band for said termination, it appears that he’s ready to sing like a jilted bird to Anthony Mason for CBS This Morning: Saturday, per a press release from CBS News. So who’s to blame for the historic split? Well, it may be more complicated than we think. Kidding! It was all Nicks, by Buckingham’s account. He first learned of the brewing issue when manager Irving Azoff informed him that Nicks was livid—presumably either over Buckingham’s request to push back an upcoming tour by several months, or maybe because he “smirked” during a speech she gave on stage, there are many options here—and had issued an ultimatum, making the band choose between her or him. We’ll give you two guesses as to how that ended. “It appeared to me that she was looking for something to hang on me, in order to instigate some kind of coup,” he hypothesizes to Mason in his first televised interview since the split. He’ll also chat about status of the lawsuit, an email that he received from former bandmate Christine McVie, and whether or not he’d ever be willing to bury the petty hatchet long enough for a reunion. Oh, and he’ll be performing a few songs from his new solo anthology, which is surely equally important. Buckingham’s interview with Anthony Mason will air this Saturday morning, December 8, on CBS.